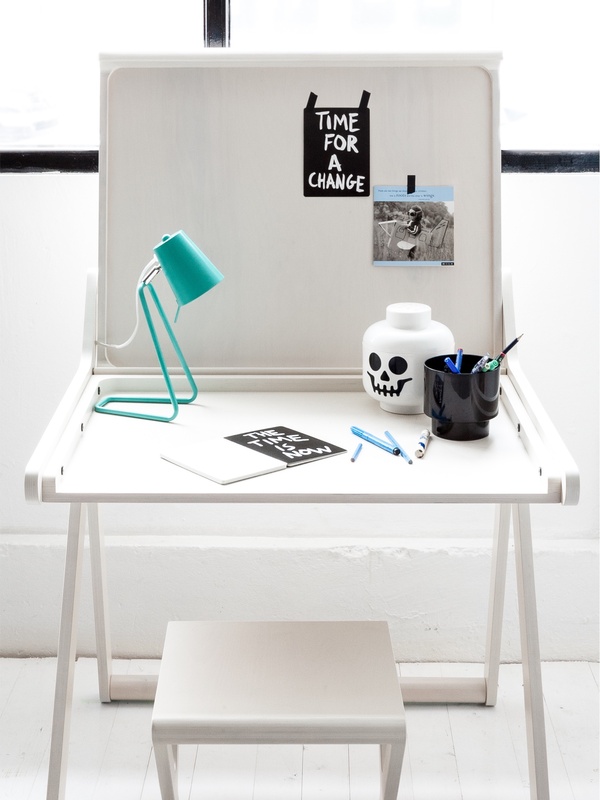 Desk, Rafa Kids, K DESK, Agata & Arek Seredyn. 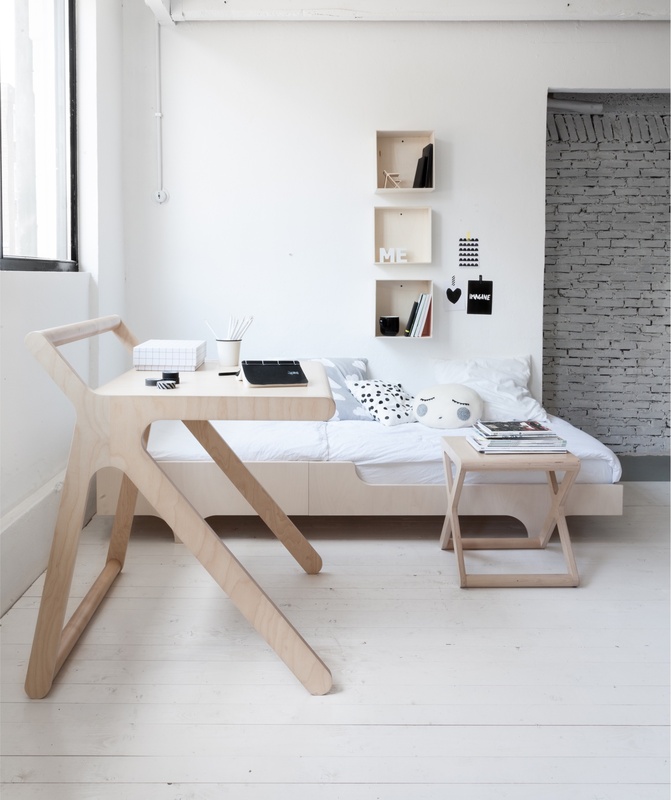 K desk is a stable and functional desk that can be set in two different positions: an open and close one. When closed the furniture is clean and elegant. Once the lid is lifted you discover another layer of the desk with rounded corners and hidden organizer. 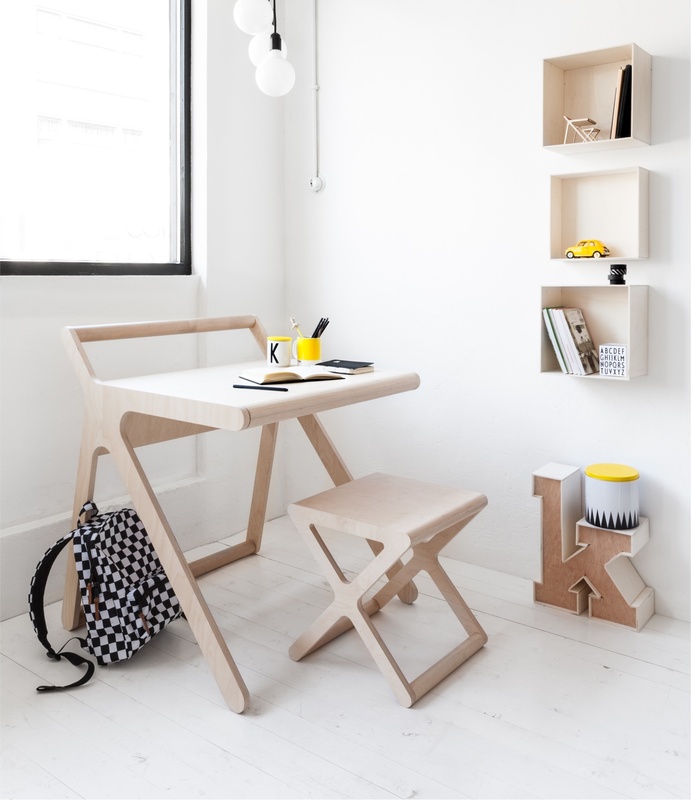 Perfect place to put notebooks , iPad or little toys and treasures. Vertical part is good exposition space for drawings, photos or important messages. 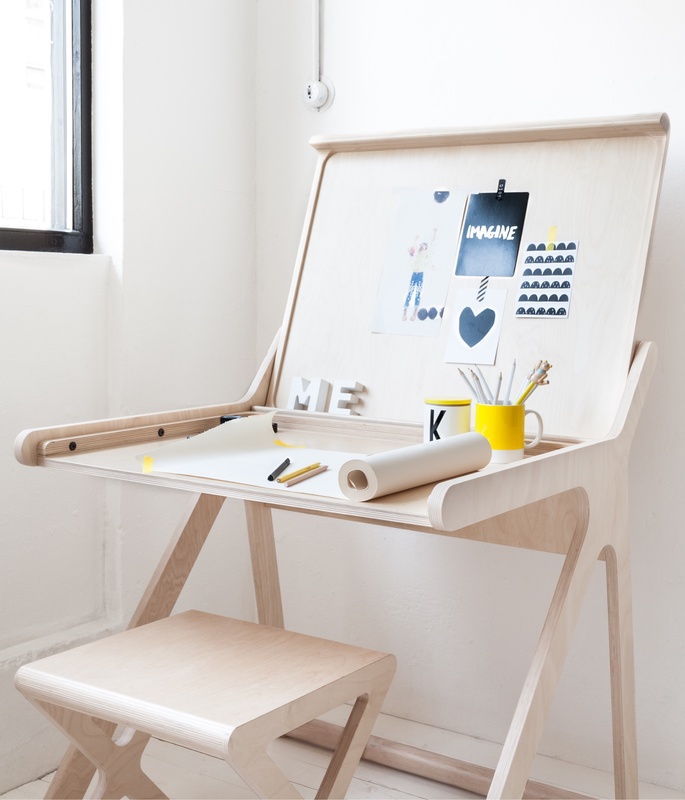 The detailing of the K desk is very well thought through. No screws or connectors are visible outside. Completely hidden dampers are softly closing the lid protecting children’s fingers from being shut.